In the spring of 1628, the Witchfinder of Wessex finds himself a true Witch. As Bess Hawksmith watches her mother swing from the Hanging Tree she knows that only one man can save her from the same fate at the hands of the panicked mob: the Warlock Gideon Masters, and his Book of Shadows. Secluded at his cottage in the woods, Gideon instructs Bess in the Craft, awakening formidable powers she didn’t know she had and making her immortal. She couldn't have foreseen that even now, centuries later, he would be hunting her across time, determined to claim payment for saving her life. The dream chooses the dreamer, not the other way around - and Lazlo Strange, war orphan and junior librarian, has always feared that his dream chose poorly. Since he was five years old, he's been obsessed with the mythic lost city of Weep, but it would take someone bolder than he to cross half the world in search of it. Then a stunning opportunity presents itself in the person of a hero called the Godslayer and a band of legendary warriors, and he has to seize his chance or lose his dream forever. Sixteen years ago the Kingdom of Winter was conquered and its citizens enslaved, leaving them without magic or a monarch. Now the Winterians' only hope for freedom is the eight survivors who managed to escape, and who have been waiting for the opportunity to steal back Winter's magic and rebuild the kingdom ever since. Orphaned as an infant during Winter's defeat, Meira has lived her whole life as a refugee, raised by the Winterians' general, Sir. Training to be a warrior - and desperately in love with her best friend and future king, Mather - she would do anything to help Winter rise to power again. 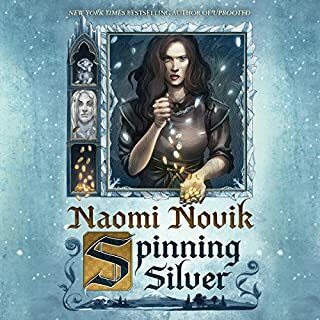 Magic, adventure, mystery, and romance combine in this epic debut in which a young princess must reclaim her dead mother’s throne, learn to be a ruler - and defeat the Red Queen, a powerful and malevolent sorceress determined to destroy her. On her 19th birthday, Princess Kelsea Raleigh Glynn, raised in exile, sets out on a perilous journey back to the castle of her birth to ascend her rightful throne. Plain and serious, a girl who loves books and learning, Kelsea bears little resemblance to her mother, the vain and frivolous Queen Elyssa. But though she may be inexperienced and sheltered, Kelsea is not defenseless: Around her neck hangs the Tearling sapphire, a jewel of immense magical power; and accompanying her is the Queen’s Guard, a cadre of brave knights led by the enigmatic and dedicated Lazarus. Kelsea will need them all to survive a cabal of enemies who will use every weapon - from crimson-caped assassins to the darkest blood magic - to prevent her from wearing the crown. But the quest to save her kingdom and meet her destiny has only just begun - a wondrous journey of self-discovery and a trial by fire that will make her a legend...if she can survive. 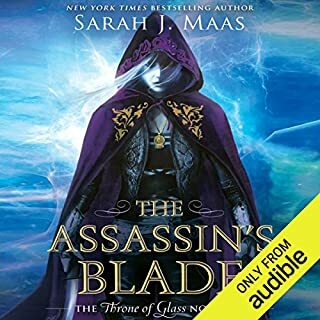 Where does The Queen of the Tearling rank among all the audiobooks you’ve listened to so far? It's up there. It definitely starts out slow--I have seen super mixed reviews about this book, and in most cases people cite the slow beginning as a negative. Don't stop there! It picks up once she arrives in Tearling. What does Katherine Kellgren bring to the story that you wouldn’t experience if you just read the book? Kellgren's performance is excellent. At first her accent was too much for me, but by the end of the book, I wanted to listen to more of her narration. Her voices bring the characters to life. I was pretty impressed with her range. I started this before and liked it but for some reason put it down. 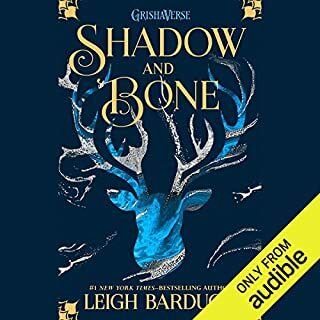 Came back to it while cleaning up my half read list, and purchased the audio to help. 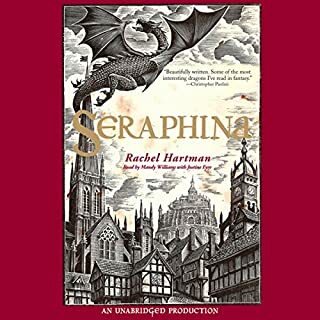 I was pleasantly surprised at the depth the narrator added to it, and at how much I enjoyed the book as a whole, it was easy to commit to this time around. Pure earth fantasy, with magic, red queen, guards, outlaws (the handsome fetch) and a come to age white queen story. Fun spring break reading. P. S. I think it's interesting how there are still the red queen/white queen basis to stories so many years after that conflict in English history. Having been on something of a nonfiction binge lately, it is possible that I have been spoiled by the other titles I have listened to lately. That said, I felt The Queen of the Tearling left a lot to be desired. First and foremost, the story feels like a draft. Either the people of Tearling try their best to act their perceived societal archetypes, in which case they are all deep, layered geniuses fooling the queen, or the characters never made it past those archetypes in the author's, and thus the queen's, mind. One of few characters that experienced any sort of growth was the gate guard. Why does the gate guard's side story seem more transformative than the queen's story??? What did you love best about The Queen of the Tearling? All the characters, but particularly the growth of the young Queen. I love Katherine Kellgren as a narrator. Her pace is perfect and I thought the character voices were all excellent, especially for the Queens' guard. I will say she was a little piercing in the beginning, but she calmed down as the story went. And in defense of the narrator, the main character struggles with being quick (and often) to anger. So there is that to consider. What disappointed you about The Queen of the Tearling? 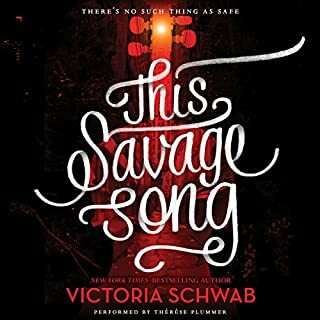 I've listened to this reader on other audiobooks and liked her, but this audiobook didn't work for me. She went from speaking normally to yelling in my ear every couple of minutes, which was very distracting. The story itself was kind of interesting -- I like that the protagonist wasn't your typical beautiful heroine. But the author's obvious hatred of the Catholic Church was off-putting, as was her depiction of the supposedly feminist character Kelsea, who smiles at the gift of her uncle's head on a pike and who ridicules a female enemy for being old and ugly, insinuating that she is worthless because of these qualities. But at least the character is different from the norm I guess, and doesn't end up in a love triangle or anything. The narration was fine, although not my cup of tea. Anytime the action picked up a teeny tiny bit, the narrator would begin yelling and pick up speed, which I personally found annoying, but maybe that was just because I was using headphones. The accents she used for most of the male characters were a little caricature-y, as well, but she did make sure each one had their own specific voice, so that didn't bother me as much. Altogether I would give the story a 4/10. Interesting enough if you have time to spare and are bored, but not something I would seek out specifically. Not sure what all the fuss is about. Also interesting to note that Emma Watson will be starring as Kelsea in the film version...wonder if they're going to make her 'ugly' somehow, as that seems to be the main attraction for those making all the fuss -- the fact that the protagonist isn't remotely pretty (by society's standards anyway). I guess that remains to be seen. 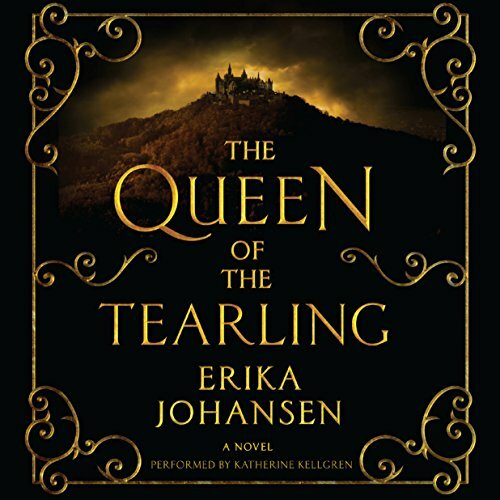 Would you consider the audio edition of The Queen of the Tearling to be better than the print version? I felt like the narration enhanced the experience. Often times I prefer print, but I felt like being read to for once. I think the most interesting aspects are the potential for future devloping relationships. The Fetch (or is the Fetch actually a sibling or her father), and there is potential for something to happen with the priest who loves books as much as the Queen. Have you listened to any of Katherine Kellgren’s other performances before? How does this one compare? No, I have not, but I enjoyed her narration, and was going to look for other books she narrated. You aren't going to please everybody, People either like the narrator or they don't. 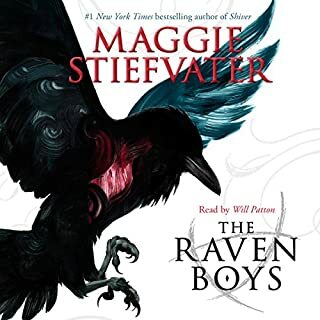 I liked this narrator, and I thought she did a great job when the narration required enthusiam and excitement. I was a little confused as to what the time period was. Occassionally something was mentioned that made me wonder. Carpet? That wasn't invented until the 1700s, there were rugs before that. Pens? or were they referring to Quills? Building a printing press? Hand drawn books. Just what year is it exactly. It may have been mentioned, but I must have missed it That being said it didn't detract from the overall story line, just every once and a while, I wih had a better grasp of the time frame. What made the experience of listening to The Queen of the Tearling the most enjoyable? It really held my attention from start to finish. She has a nice voice and does the different characters well, but at time she seemed to be yelling with the excitement of the book. It makes it difficult to find an acceptable volume for listening through earbuds. SPOILER! I teared up when the Queen chose to execute the traitor in the Queens-guard. Nothing is black and white/ all good and all evil in this book. This book was recommend to fans of Harry Potter, but it's almost more Game of Thrones than the former. Though considerably less violent than GOT, I still can't believe it's classified as Young Adult. Can't wait to see the film! if you're looking for a book with an instant love story, this is not it. The heroine of the story starts out as a sheltered, plain looking girl who has to make decisions that affect an entire Kingdom and win over her people. Although this book is fantasy I find the characters very real and believable. It is more adult than young adult. If you dislike the lack of World building, wait for the second book, it makes up for it. I only wish the book was longer. Katherine Kellgren is the best narrator ever. Listening to her read a book is almost like watching a movie. Each character has a unique voice and she conveys their emotions perfectly.